A prospectus inviting eligible local authorities to bid for additional borrowing under this programme was launched in June 2018, along with instructions to local authorities about the bidding parameters. The deadline for submitting bids is 5pm on Friday 7th September 2018. Homes England has also announced an increase of £1,670million in the social and affordable housing programme for England outside London that follows the additional funding that was provided for London in March 2018. This takes the form of an addendum to the Shared Ownership and Affordable Homes Programme 2016 to 2021. “Like the Prime Minister, I want to see a new generation of council house building. Historically, local authorities have been a driving force in council house building in this country. You have the land, the planning responsibilities and you know what your communities need. “Crucially, you also have the ambition. Local authorities often say they would build more houses, if only they could borrow more money. There are also repeated calls for greater flexibility when it comes to using this money. You have been keen to build, but held back for too long. We are listening and taking action. The purpose of this briefing paper is to summarise the government’s prospectus, Homes England’s addendum and the reaction to them of the sector and to provide some commentary. The Civic Centre in Newcastle-on-Tyne. 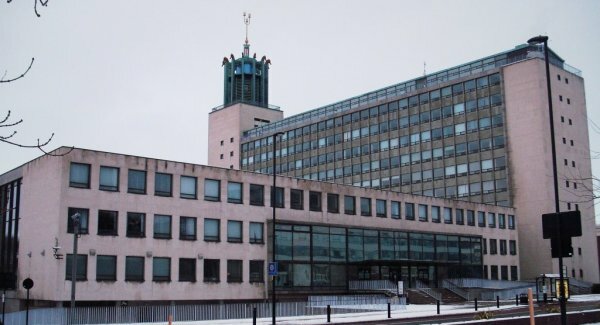 Newcastle is one of 168 local authority areas that will be eligible under the new programmes for additional council borrowing and social homes.